Need fiber optic cables and more? We've got it! Fibertronics was established in 2009 in Melbourne, Florida, USA with the goal of providing reliable, consistent and quality products to all of its customers. 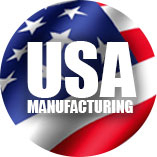 Despite our rapid growth we have remained flexible, giving us the edge over our competitors and allowing us to provide superior custom manufactured fiber optic cable assemblies, as well as other fiber optic devices to our customers at incredibly competitive prices. Fast delivery and great service help set us apart. Whether you are looking for standard patch cords, restocking orders or simply have questions regarding custom cable assembly, Fibertronics has both the experience and resources to help you out. For more product information or a quick quote why not give our experienced and friendly service consultants a call on (877) 320 3143.